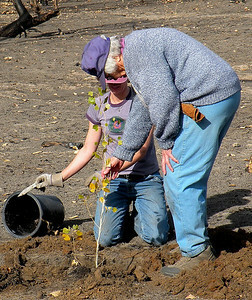 Volunteers plant cottonwood seedlings at Moab Slough following a fire in October 2008. Photo by Daniel Eddington on 11-22-08. 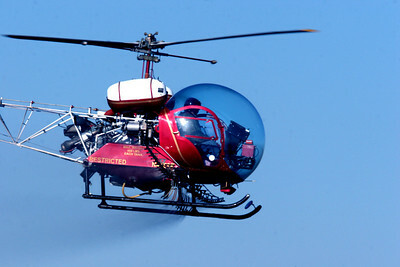 Aircraft drops seed over the Scott M. Matheson Wetlands Preserve, following a fire in October 2008. 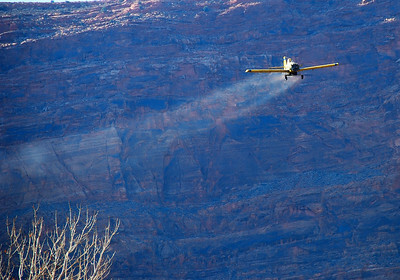 Photo taken 12-5-08 by Daniel Eddington, Utah Division of Wildlife Resources. 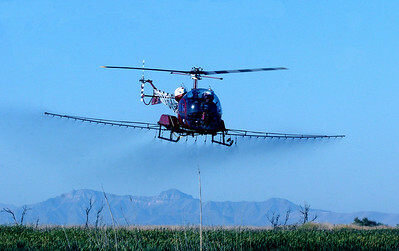 Money and support from the Utah Waterfowler's Association, Utah Legislature and the Utah Airboaters Association made the Phragmite Management project possible, including this helicopter spraying phragmites. Photo taken 9-12-08 by Phil Douglass, Utah Division of Wildlife Resources. 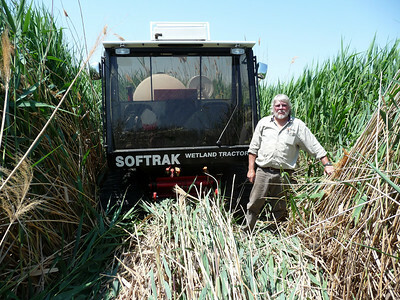 Randy Berger, phragmites control coordinator shows how thick and "chocked off" the marsh can get. "You can't access it and neither can wildlife," says Val Bachman, Ogden Bay Waterfowl Management Area Manager. 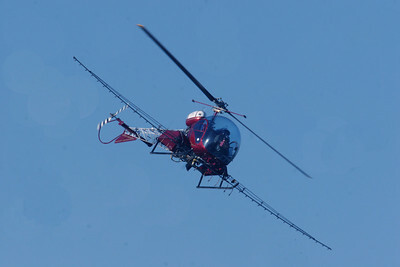 UDWR photo.